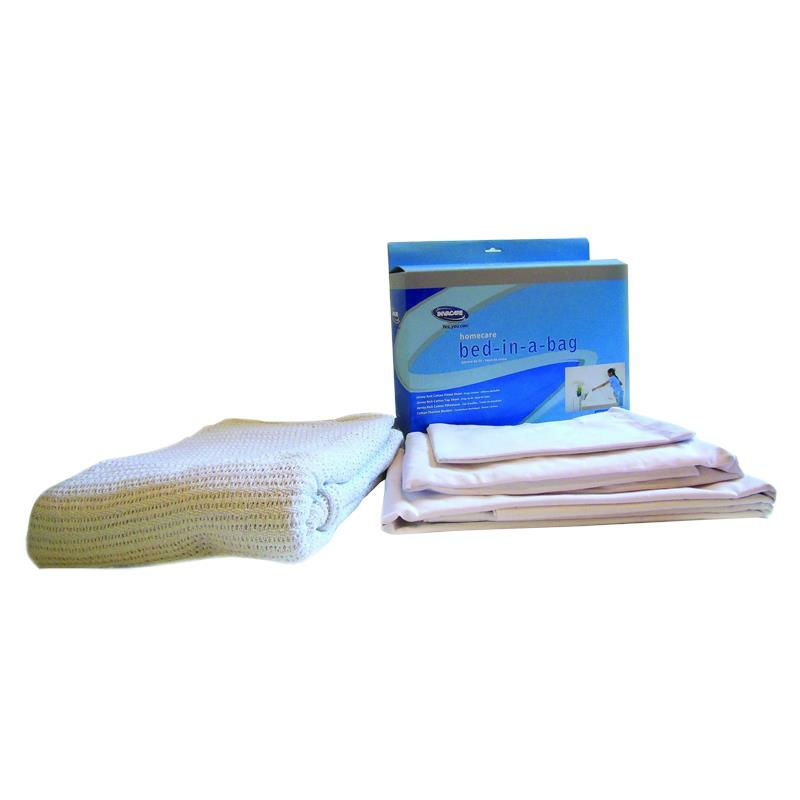 ReliaMed Home Care Bed-in-a-Bag is a complete bedding set in a cotton polyester blend. It includes bottom sheet, flat sheet, pillow case and 100 percent cotton thermal blanket. ReliaMed Home Care Bed-in-a-Bag fits hospital bed mattress up to 36" x 80" x 8"